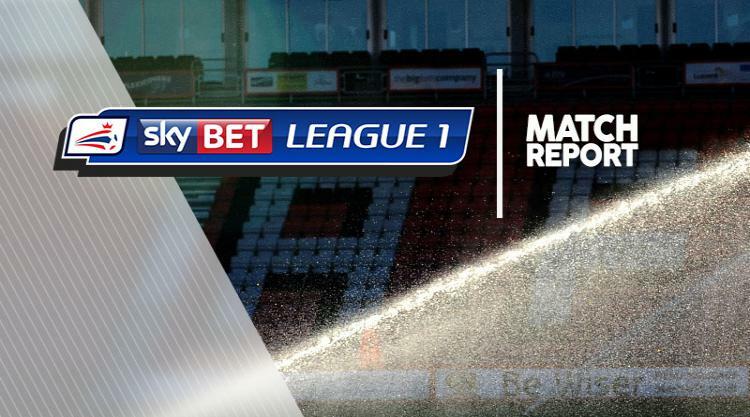 Promotion-chasing Bradford made it a year unbeaten at home in Sky Bet League One by twice coming from behind to draw 2-2 with MK Dons. Tony McMahon's penalty and a header from Charlie Wyke earned the fifth-placed Bantams a point, cancelling out goals from Stuart O'Keefe and George Williams. On-loan Cardiff midfielder O'Keefe put Dons ahead in the fourth minute, firing home a deflected drive from distance to claim his first goal for the club. City, whose last league defeat at Valley Parade came 25 games ago against Colchester on March 1, 2016, equalised 18 minutes later when right-back McMahon found the bottom-left corner from the spot after Dons defender Joe Walsh was penalised for holding in the box. Williams' mishit cross from the left went in off the far post to restore the visitors' lead in the 35th minute but Bantams striker Wyke nodded in Billy Clarke's right-wing corner two minutes before the break to bring Bradford level again. Left-back James Meredith could have earned Bradford all three points in the second half when he fired straight at Dons goalkeeper David Martin, while Harvey Barnes and substitute Kieran Agard went close at the other end.